Portrait of a film music expert: John Takis, a talented writer known for his exceptional liner notes and informative blog posts. 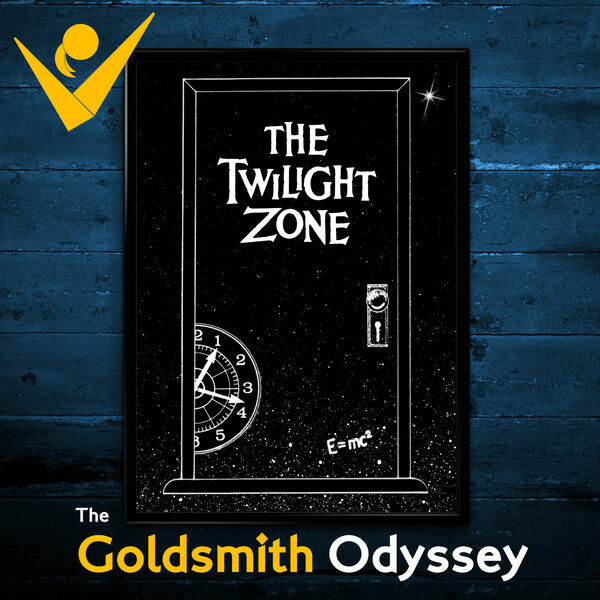 John has been invited to be the very first guest on a podcast known as The Goldsmith Odyssey. He knows that he will be asked to offer his thoughts on the virtues of film composer Jerry Goldsmith. He knows that he is expected to offer commentary on the classic television episodes "Nightmare as a Child" and "Nervous Man in a Four-Dollar Room." However, what he doesn’t know is that program hosts Jens, Yavar, and Clark have lured him into their lengthiest episode yet, requiring John to conjure mass quantities of dazzling insight. John Takis: a film music expert taking a two-hour journey… into The Twilight Zone.